If you'd tell our moms that we have tea they'll refuse to believe. We are known as people who do not have tea. Back when it was just two of us in Delhi we would not buy tea leaves. 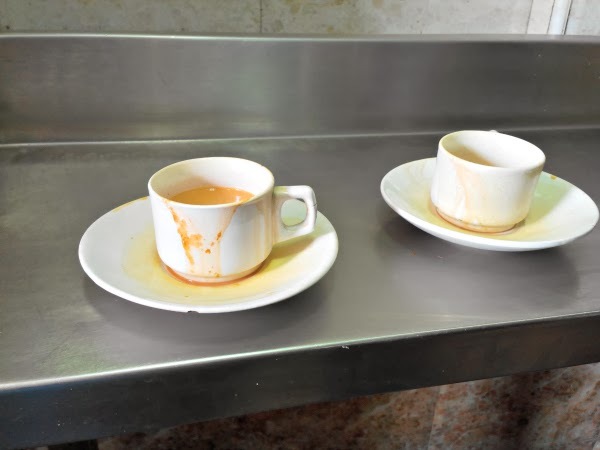 Only when some one visited did our house see tea. Since we have been traveling it has become our beverage of choice and our love for tea grew manifold while visiting Kolkata and assam regions. You have to try their tea to believe that it could be so good. I now know why people would kill for a bag. Our new found love took us to Sohanlal in Abids. Our fist visit was a chance one. We had a dentist appointment (I hate scaling) nearby and Aj remembered a friend talking about this place. We had the tea and we are certified fans. I have been going gaga over it for the entire time till we visited it again to sample as many goodies as we can. 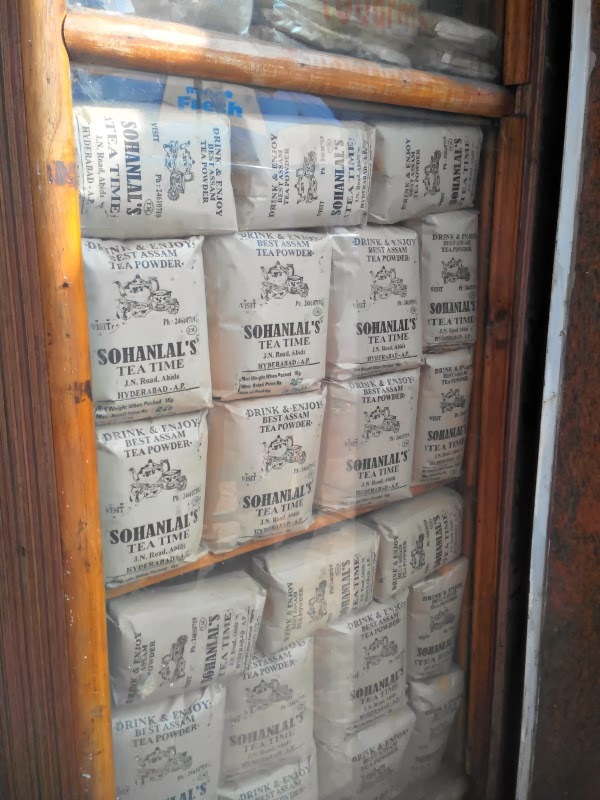 This being our first week after the Year end trip we were facing some serious travel withdrawals and decided to visit the Sohanlal Teas Time again for a delicious Lunch. It has to be one of the best teas I have tasted ever. I live in India and that's a lot to say about any place. I do admit you can please me with an honest flavor but this tea has perfect balance of spices to its credit and who doesn't like that. My usual complaint with tea in this part of the country is the amount of sugar they put in. This shop manages to keep sugar low milk perfect and tea awesome. If you travel in India you will experience such variety of dosas that you will be hard pressed to choose just one as favorite. This place serves on of my favorite type of dosa and its spicy. In case i did not tell you spicy is my new favorite flavor. What do i recommend? 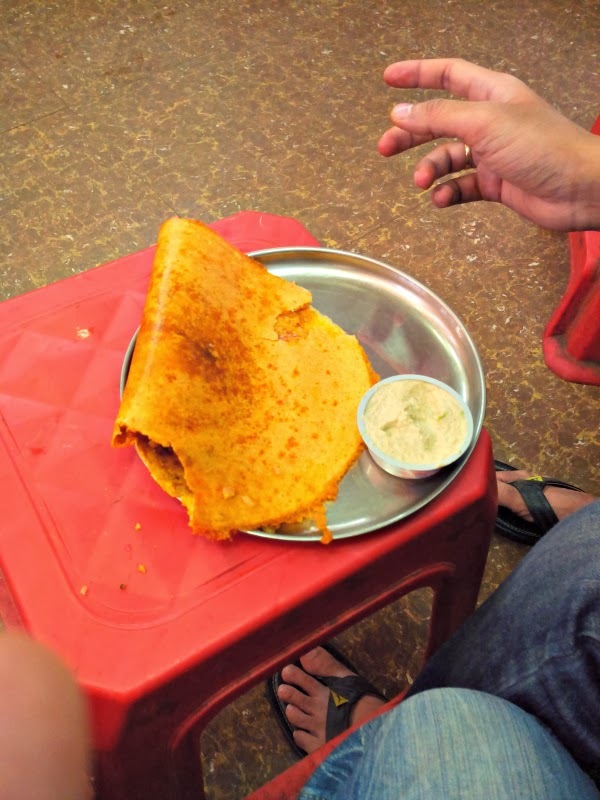 Do not miss the butter chatpata dosa it is a delight and follow up with the Palak Paneer or the Butter Paneer dosa. What is different about this shop is that they do not serve any sambhar. If you know these south Indian crepes you know There has to be sambhar but there is not and you will not miss it either. I wanted to have Idli and Uttapam too but there's only so much a person can eat at any time. If you visit and have any thing else do tell me about it. You should not even expect any place to sell dosa and Kachori and if they do only one of those will actually be good. This place has done it and the taste is just like you get back in Rajasthan. I suspect that the owner hails from my state. No body does Kachori better than Rajasthan. I have been told they do good samosa and its on my list for next time. I will be looking for your take on the place.